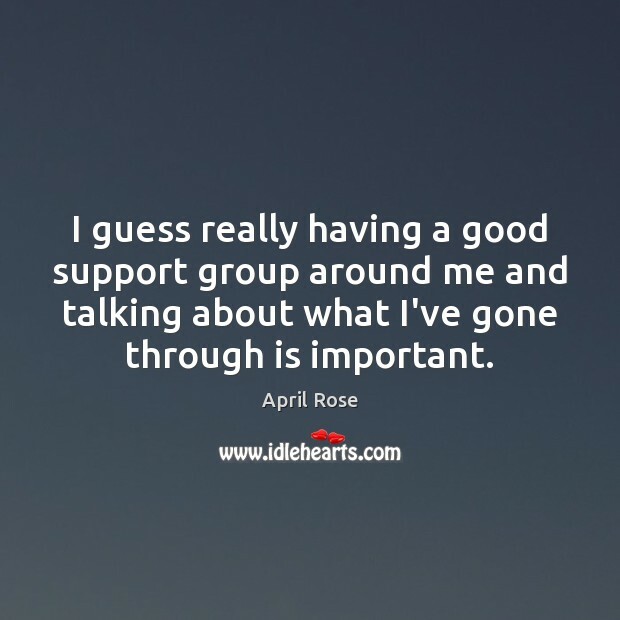 Enjoy the best inspirational, motivational, positive, funny and famous quotes by April Rose. Use words and picture quotations to push forward and inspire you keep going in life! 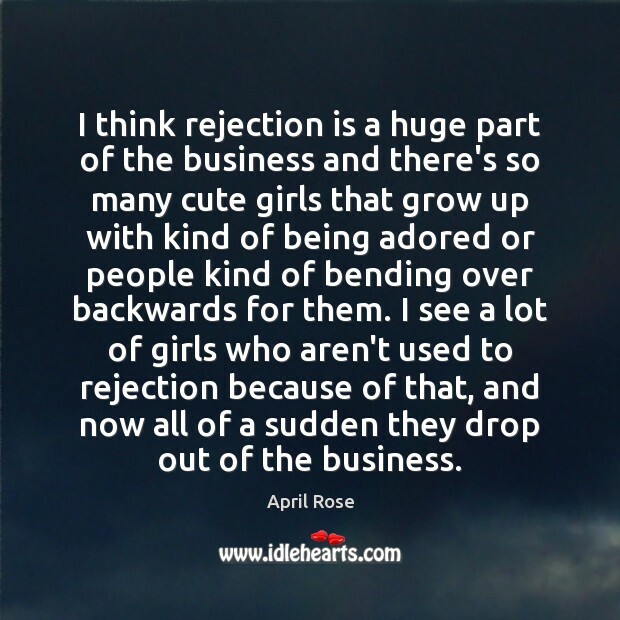 I think rejection is a huge part of the business and there's so many cute girls that grow up with kind of being adored or people kind of bending over backwards for them. I see a lot of girls who aren't used to rejection because of that, and now all of a sudden they drop out of the business. 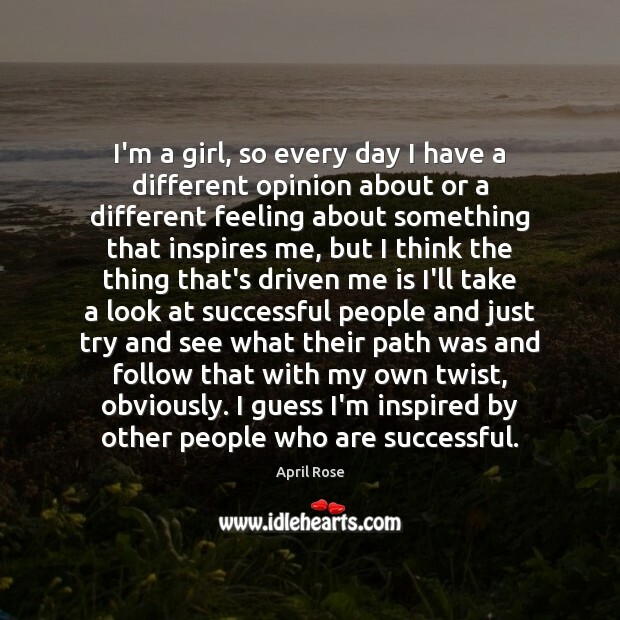 I'm a girl, so every day I have a different opinion about or a different feeling about something that inspires me, but I think the thing that's driven me is I'll take a look at successful people and just try and see what their path was and follow that with my own twist, obviously. I guess I'm inspired by other people who are successful. 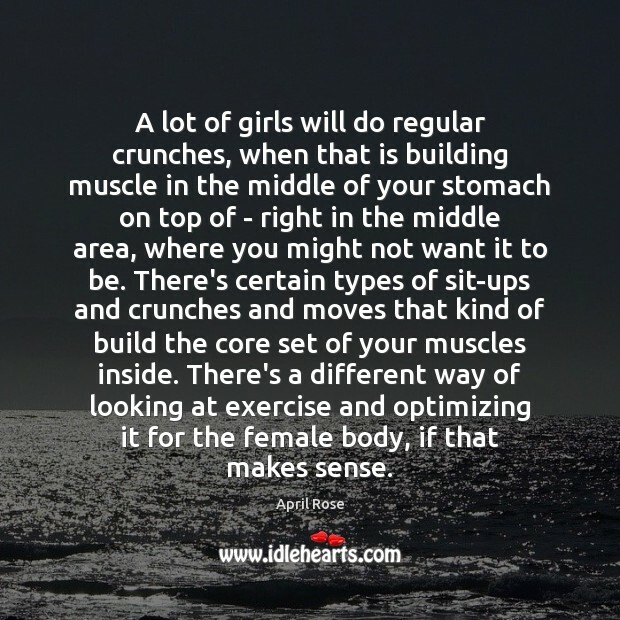 A lot of girls will do regular crunches, when that is building muscle in the middle of your stomach on top of - right in the middle area, where you might not want it to be. There's certain types of sit-ups and crunches and moves that kind of build the core set of your muscles inside. There's a different way of looking at exercise and optimizing it for the female body, if that makes sense. I guess really having a good support group around me and talking about what I've gone through is important. 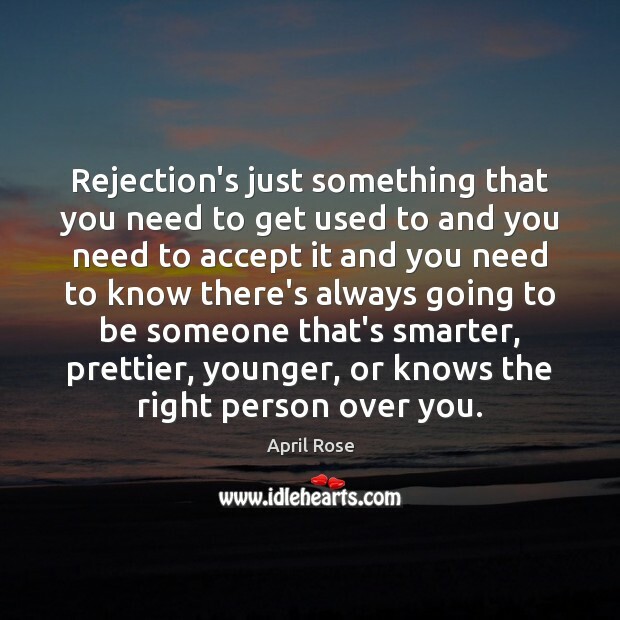 Rejection's just something that you need to get used to and you need to accept it and you need to know there's always going to be someone that's smarter, prettier, younger, or knows the right person over you. I think the most important thing is being in healthy relationships. That might be a weird answer, but I think emotional health is a big contributor to physical health. 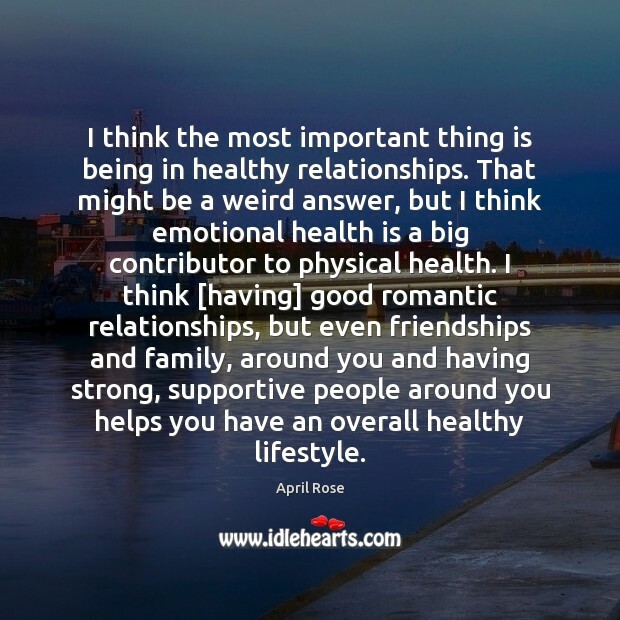 I think [having] good romantic relationships, but even friendships and family, around you and having strong, supportive people around you helps you have an overall healthy lifestyle.